Based in New Jersey, USA AK Oriental Rug is one of the leading online Retailers of hand knotted rugs, carpets and kilims. 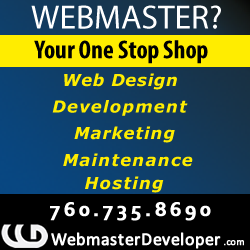 We believe in commitment to offer you with Fine-quality product and service. We have a huge collection of traditional to contemporary rugs that have been imported from “Rug Belt” the Asian region of the world. We welcome you to visit www.akorientalrug.com, an online store of Persian and Oriental Hand-knotted rugs, carpets and kilims. If you are looking for traditional rug for your bed room, dining room, TV lounge, Door step or wall hanging for your office or hotel decoration, don’t worry, AK ORIENTAL RUG is a right place where you can discover the huge collection of 100% Hand-knotted Real Persian rugs, oriental rugs, tribal rugs, modern carpets, antique rugs, area rugs and transitional & contemporary rugs and kilims. We offer a quality product at very low price as compared to others as we are directly connected with manufacturers in Asian regions. Each rug is very carefully woven knot by knot in the villages of central Asian countries by nomads using authentic and quality materials. We have a huge collection of rugs, carpets and kilims which are directly imported from Afghanistan, Pakistan, India, Turkey, Nepal etc. We have a wide range of variety in size, design and color combination that can be suited to your room. If you could not find rug of your choice in our gallery, we can make sure to manufacture your dream (Your Design & Size) into rug form. Short Business Description: Our veteran staff will assist you at every stage of your planning to exceed your overall expectations. 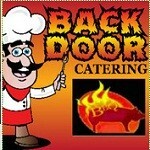 At Back Door BBQ Catering our focus is on providing truly amazing food for your catered affair that you can pick up at your convenience. Guests who attend your event will remember the food for years to come and you will remember our efforts to make your day a great success!